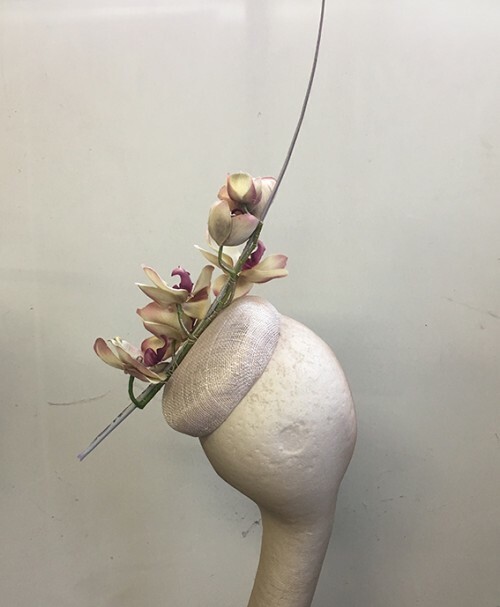 Couture by Beth Hirst Striking Cream Pink and Silver Orchid Button Beret from Tiaras 4 Weddings. 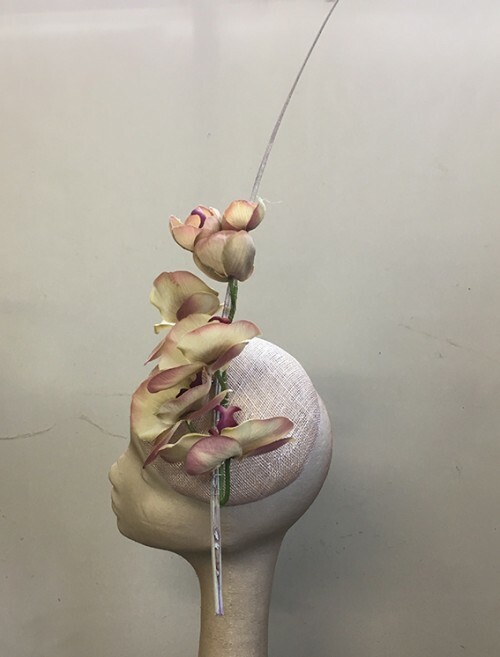 Beautiful Cream and Pink orchids floating up from the pale pink and silver sinamay hat, the orchids lean against a long gold silver to give the hat eye catching height. 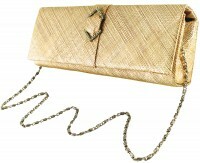 It sits to the left hand side of the head and is held on with a hat elastic, which is easily hidden under your hair. 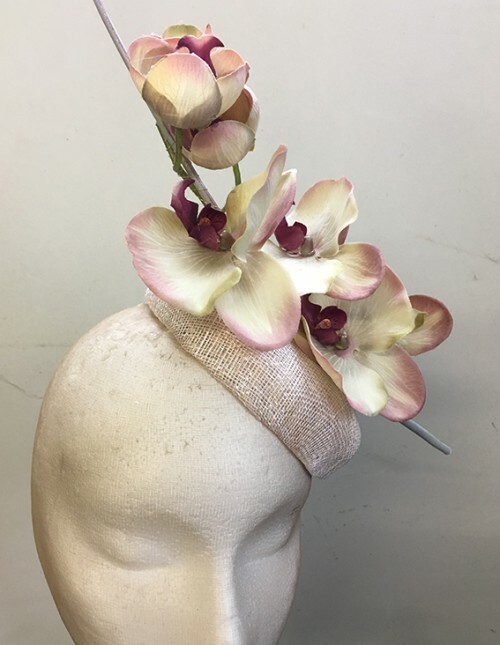 Great for events such as a wedding, race meetings such as Royal Ascot, Cheltenham, Ebor, Goodwood, Melbourne Cup, Kentucky Derby or any hat wearing occasion. 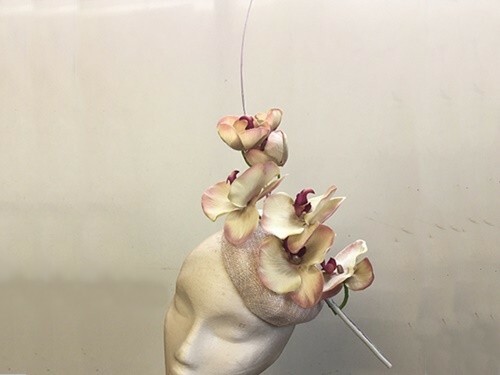 It would make a stunning bridal headpiece. Completely hand blocked and hand stitched, each piece is individually lovingly created so you know you will be the only one wearing anything like it.